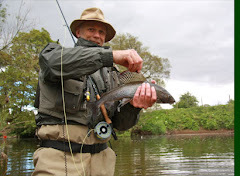 K.S.D.A.A MEMBERS ;- PLEASE NOTE THAT GRAYLING FISHING IS AVAILABLE UNTIL JAN 31ST ,ALSO NON MEMBERS CAN OBTAIN TICKETS FOR GRAYING FISHING FROM HALLS NEWSAGENT ,KIRKBY STEPHEN. OCCASIONAL RIVER REPORTS WILL APPEAR ON THE WEB SITE, I.E. LARGE FLOODS ETC , SORRY FOR THE INCONVENIENCE . THANK YOU TO ALL MEMBERS AND NON MEMBERS WHO HAVE FISHED ON K.S.D.A.A WATERS THIS SEASON HOPE TO SEE YOU ALL NEXT SEASON. ITS A LOVELY DAY FOR THE LAST DAY OF THE TROUT SEASON. THE EDEN IS RUNNING AT A PERFECT HEIGHT AND ALSO HAS A HINT OF COLOUR IN THE WATER. GOOD LUCK AND I HOPE YOU HAVE HAD A FANTASTIC SEASON , STEVE. 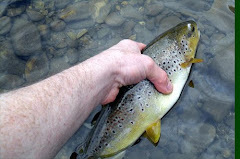 THE EDEN ROSE A FEW INCHES YESTERDAY AND ALSO HAD A BIT OF COLOUR IN IT , BUT THIS HAS NOW DROPPED OUT AND THE EDEN IS RUNNING AT A NICE FISHABLE HEIGHT. THERE HAS BEEN MORE RAIN OVERNIGHT, BUT AS YET THE LEVELS HAVE BEEN UNAFFECTED. THE EDEN IS STILL RUNNING AT A NORMAL HEIGHT AT THE MIN , DESPITE SOME RAIN OVERNIGHT . ITS NOT RAINING AT THE MOMENT AND THERE IS A STIFF BREEZE. THE RIVER CONDITIONS ARE THE SAME AS YESTERDAY AND THE WEATHER IS DRY AND CALM. THERE HAS BEEN A FAIR BIT OF RAIN OVERNIGHT AND THIS MORNING ,BUT AS YET THE RIVER LEVEL HAS BEEN UNAFFECTED. THE WEATHER IS WET AND MISTY. THE EDEN IS STILL IN A DECENT CONDITION FOR A DAYS FISHING WITH THE RIVER LEVEL RUNNING AT AN AVERAGE HEIGHT. THE WEATHER IS COOL AND CALM. ITS RAINING AT THE MOMENT AND THERE IS A FAIRLY STRONG BREEZE , BUT THE RIVER CONDITIONS ARE STILL GOOD. VERY NICE COOL ,CLEAR MORNING AND THE RIVER CONDITIONS ARE VERY GOOD. THE RIVER IS STILL RUNNING WELL AT A NICE HEIGHT AND THE WEATHER HERE IS QUITE WINDY , BUT DRY. THE RIVER CONDITIONS ARE UNCHANGED (STILL GOOD) AND THE WEATHER IS DRY AND OVERCAST. THERE HAS BEEN SOME RAIN OVERNIGHT AND ITS STILL RAINING NOW.THE RIVER LEVEL HAS NOT BEEN AFFECTED AND IS STILL IN GOOD CONDITION. THE RIVER CONDITIONS ARE UNCHANGED AND THE WEATHER IS COOL AND DRY. THE RIVER CONDITIONS ARE PERFECT AND THE WEATHER IS WARM AND BRIGHT. THE RIVER HAS DROPPED AGAIN AFTER ITS RECENT FLOOD AND IS IN GOOD CONDITION FOR A DAYS FISHING ,WITH A HINT OF COLOUR IN THE WATER . THE WEATHER IS DRY AND OVERCAST. PLENTY OF RAIN HAS FALLEN AND IS STILL FALLING , BUT IT HAS NOT AFFECTED THE RIVER WHICH IS RUNNING SLIGHTLY BELOW AVERAGE , BUT VERY FISHABLE.IF THE RAIN AFFECTS THE RIVER LEVEL IT WON'T BE UNTIL THIS EVENING. THERE HAS BEEN ONE OR TWO SHOWERS OVER THE LAST FEW HOURS , BUT DON'T THINK IT WILL AFFECT THE RIVER LEVELS AND CONDITIONS ,WHICH ARE GOOD. 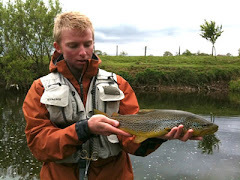 ITS A DULL , OVERCAST MORNING AND THE EDEN IS STILL IN GOOD CONDITION FOR A DAYS FISHING. 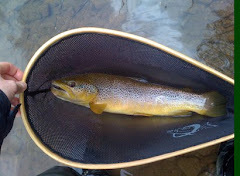 GOOD RIVER CONDITIONS AND THE WEATHER IS DRY AND COOL. NO CHANGE ,RIVER CONDITIONS STILL VERY GOOD AND THE WEATHER IS DRY , BRIGHT AND COOL THIS MORNING. ITS A COOL ,DRY MORNING AND THE RIVER CONDITIONS ARE NEAR PERFECT. ITS A DRY COOL MORNING AND THE RIVER CONDITIONS ARE VERY GOOD. THE EDEN ROSE A FEW INCHES YESTERDAY AFTERNOON AND HAS NOW DROPPED AND IS FISHABLE, BUT THERE HAS BEEN MORE RAIN AND THIS WILL AFFECT LEVELS SLIGHTLY, LATER IN THE DAY. THE WEATHER IS WET. THE RIVER HAS DROPPED AT LAST LEAVING REASONABLE CONDITIONS. THERE HAS BEEN MORE RAIN AND THIS MAY AFFECT LEVELS LATER TONIGHT. ALL OF THE RECENT RAIN IS TAKING SOME TIME TO CLEAR , BUT IT HAS LEFT THE EDEN AT A JUST FISHABLE LEVEL. THE WEATHER IS FINE AND DRY. YESTERDAY AFTERNOON THE EDEN ROSE DRAMATICALLY AND WAS COMPLETLY UNFISHABLE . IT IS DROPPING NOW , BUT STILL UNFISHABLE WITH FLY. THE EDEN HAS STARTED DROPPING , BUT STILL A BIT HIGH FOR FLY FISHING AND WITH MORE RAIN FORECAST THE NEXT FEW HOURS COULD SEE THE CONDITIONS CHANGE QUICKLY. THE WEATHER IS DRY AND OVERCAST. ALL THE RECENT RAIN HAS MADE ITS WAY IN TO THE EDEN AND MADE IT UNFISHABLE .THERE WAS ALSO MORE RAIN LAST NIGHT SO I WOULD EXPECT THE EDEN TO RISE SOME MORE THIS AFTERNOON/EVENING.